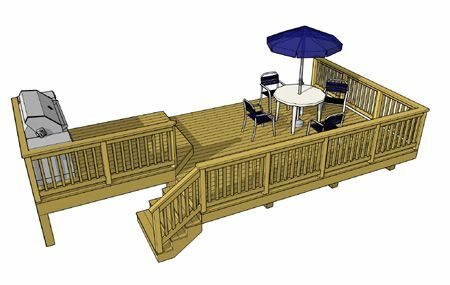 This 2 level deck takes advantage of every square foot of a small area. 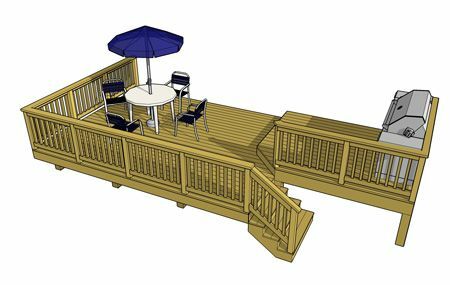 The 10' x 8' top deck provides house access, a convenient grill area, and a cascading staircase. 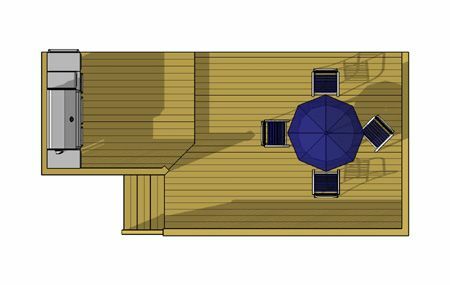 The 16' x 12' bottom deck serves as the primary entertaining area. The switchback stair design emphasizes a graceful and natural descent from door level to grade.